If you’re a Christian, you probably need no convincing that God loves you very much. Perhaps, you know the scriptures that say, “I have loved you with an everlasting love” and “I have engraved you on the palms of my hands.” These and countless others in the New Testament that you often feel are addressed personally to you make you feel so loved (Jeremiah 31:3, Isaiah 49:16). I remember this study bible that I saw at a friend’s house. 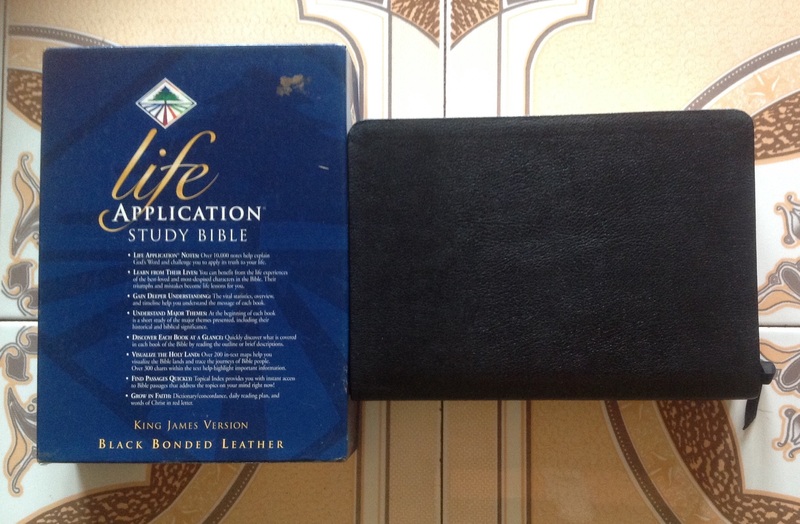 It was the Life Application Study Bible (NIV). I went through it and loved how it showed the relevance of the Bible passages to our lives and gave clues as to how we could live them out. I longed to have one as I was using the NIV for my daily Bible reading. But search as I might, I couldn’t find it in bookstores around. About a decade later, I reconnected by phone with a friend I had lost contact with for about fifteen years. One day as we were chatting, we shared information on Bible study tools and he mentioned a wider range of books than I had. Then, whoopee, he said he would search for the Life Application Study Bible in his own city! Shortly after, I had in my possession a lovely leather bound edition that he’d sent me. The only difference was that it was the King James Version. But that was okay because I had the Devotional Study Bible (NIV). Then there was this apartment I admired in the early 1990s. It was a top-floor apartment in a one-storeyed building adjacent to the church I attended. A friend of mine was living there and it had spacious rooms and wardrobes plus other features lacking in my flat then. During one visit, as I moved about the apartment, I told her to be sure to give me advance notice when she and her husband planned to move, so I could get the place. She didn’t tell me when they moved, perhaps, because she felt the landlady had someone else lined up to live there. But many years later, my senior colleague at work who had retired got a contract appointment with the university and hired the opposite flat on the same floor (the flats are identical). The facilities in the house were falling apart then. So he fixed a new bathtub, changed the toilet bowl, some windows and doors. But he never quite liked the place and stayed in a hotel whenever he came to town. About a year later, I asked to take over the flat. He hesitated but after a few months, he asked me to see the landlady. By December 2008, I moved in there, enjoying a few months’ rent balance before making my own payment. I also used his living room furniture for a while (I had none myself since my previous flat was very small) until I built mine. All I did prior to occupying the place were minor electrical jobs, changing the major locks and repainting to my taste. I cannot fail to talk about a very special person in my life. I started attending one church in July 1993 or thereabouts. One of the other members was a little old lady, poor and uneducated. I liked her a lot but we merely exchanged greetings occasionally. I wanted to be a part of her life but I don’t like being too forward in such matters. I prefer to let God make the connection. Besides, I wasn’t sure I could be very helpful to her because I was poorly paid even as a university lecturer. I used to joke to my friend, Ifeyinwa, that we came to Nsukka for ditch digging, not white collar work. That was how bad the situation was. I could barely sustain myself, helping my family meant denying myself, so I couldn’t possibly take on more responsibility. In the course of time, to the glory of God, our pay improved somewhat and I developed a relationship with another old lady in the church. That woman went to be with the Lord some years later. Subsequently, after a church service, I had a conversation with the original old lady. Through that conversation, we began a relationship. 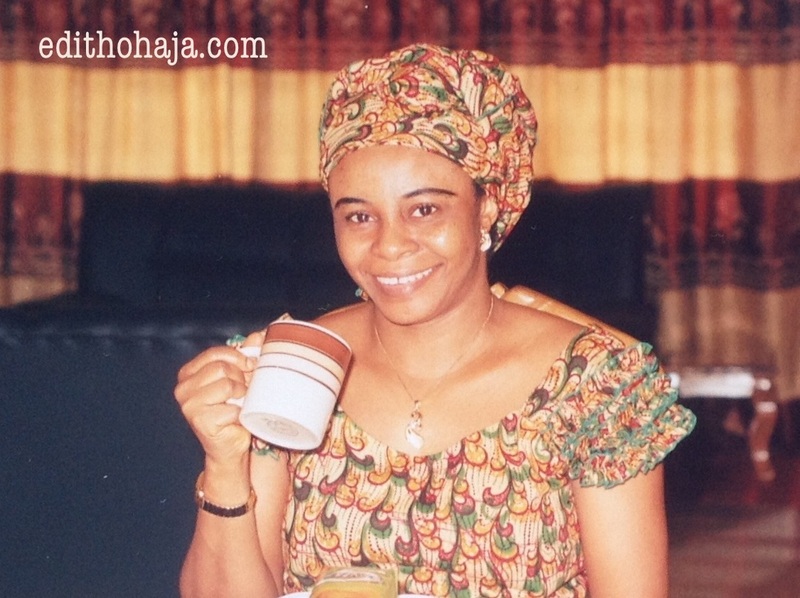 Now if you hear me saying, “My mummy this, my mummy that,” it’s not my biological mum I’m referring to (she’s late), but this dear woman I’ve loved for so long. It might be that God gave me the other lady first because she was more needy and had a trying health condition. I thus had the privilege of providing her with a little comfort. Then when she was called home, God brought close the first one that had caught my interest. I couldn’t have done it on my own. Always, I see God’s hand initiating and sustaining such relationships. But the point I want to stress here is that sometimes God “takes the trouble” to spoil us or make us ecstatic. It may be about something big like a far away place you’ve always wanted to visit or a charity you’ve been longing to set up. Or it may be something as little as a dish you’ve wanted to taste but couldn’t arrange or an outfit you’ve admired but couldn’t buy. Big or small, whenever God grants such long-held or long-forgotten wishes, it is so amazing and heartwarming: a confirmation that He loves us so much and cares about the littlest details of our lives. Hi! I’m not the only one who has experienced the subject of this post. Kindly share, if you may, one or more testimonies of how you received from God something you asked for long ago or something you always wanted but couldn’t get. Wow! was going through the news online when the notification of this post popped in my mail. So I read it and right now, I feel more encouraged that God still cares for all my (and our) needs and desires. May God keep strengthening you ma as you bless us with His word through God. Amen. And stay encouraged, my dear, in Jesus' name. Halleluyah! Thank you, Jackline, and God bless you more and more in Jesus' name. Thank you for fresh hopeful HOPE to start out the week with. I am coming back and reading this again !! Love you, Tammy! You are the best. May God do something unexpected and totally awesome for you this week in Jesus' name. Seriously, I never knew that God does recognise people like me until I started looking for admission into a tertiary institution. Within this period, I came close to God, became more responsible and changed my orientation about people. Perhaps, God tested my Faith during this period by taking my strongest friend and companion away from me. Because of my mother's decease, I believed that God cannot hear the prayers of people like me. I stopped going to church or talking about God. 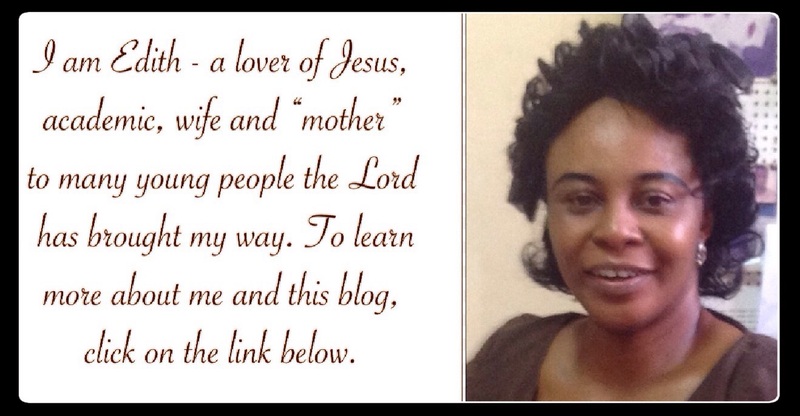 My hope in Christ was rekindled on my mother's burial. One of the officiating priests continued speaking and keeping in touch with me until I started giving it a second thought that God cares and respects my good desires. I became serious again, talking to God in tears with a broken heart. What am I saying? How I got admitted into varsity, I don't know; how God has been providing and filling the huge gap my late parents left, I can't tell. God indeed really cares and respects our desires even when we think that our hope is lost. Glory to God! Your testimonies remind me of why we call God the El Shaddai. May you see more of His Fatherly comfort and provision, dear, in Jesus' name. I really enjoyed every bit of this. Matthew 7:11 is one of my favorite scripture reference.I do use it every now and then. Yes, time will fail me to mention instances related to your testimonies in my life, but let me share one here. I had always had this desire to work in a telecom outfit. A desire i picked up when i was in the Northern part of the country between 2007 and 2009. By 2010 I found my self in Lagos and didn't get a job till March 2011. I came to Lagos June 2010. So i took up the job although the pay was really small compared to what i desired. I continued with the Job. I was into that job for four months when by some means i was called by the very owner of the company i was working with to send her my CV. The next day i was invited for an interview and before you could say Jesus is Lord, I started work with one of the biggest telecom outfit in the nation.(Airtel). I had had worked for close to four to six months before i remembered that it was my prayer request back then in 2008. Truly it is amazing how God chooses to answer our prayers. He works it out the best way only Him can work it. All we need is patience with God. He will always come through for us and He's never late. He does it at the perfect time so we won't have to struggle for it. Hi Sunday! Thanks a great deal for that testimony. You know it's happened to me too. I mean the part about it being a while before I even remembered that something that happened to me was an answer to an old prayer. Our God is meticulous in the way He loves us. This was a very enjoyable post; because it brought the reminder of how much God cares for us! I can't honestly remember a time I had to wait for a long time for something. But often am reminded about how much God is in the details. When I was recovering from cancer chemo, and shopping in Hobby Lobby; the woman behind me at the register noticed the scarf meant to hide my bald head. She told the story of how her sister in law was healed from her cancer, then quickly told the cashier she'd be paying for my purchases. It blessed me so - I cried. Then when leaving the store; God taught me a lesson in blessing and giving. I was unable to reach a homeless person nearby because of traffic. But I tried to get a fast food gift card to them. Too late. The shop owners were wary of such giving, saying people claiming to be homeless often begged in that area. Yet I learned in that moment that it wasn't my job to know what happens to a gift freely given (it may indeed go to buying drugs in that neighborhood. It was my job to answer the call and to give. God is in the details. He gives out of love when it is time to give- shortly, or after a long wait. And He gives through others when it is unexpected. It's a pleasure to hear from you, April! God's goodness is infinite. It's wonderful to be able to call Him Father. You are soooo blessed in Jesus' name. This is wonderful. God listens to even our desires and fulfils them. It happens almost everyday. One I can clearly remember was when I went to the market and I saw three books; these books were like heaven to me. Love, the way to victory by Kenneth Hagin; Battlefield of the mind by Joyce Meyer and Power of a Praying Wife. I didn't have the money so I asked them to keep it for me knowing fully well that they could sell it out at any time. I went home, I didn't even think of how to raise the money or anything. At about a week later or so, my mum gave me some money, it wasn't complete yet, but that same morning, my dad gave me the rest. I was so happy. I went to the shop and the books were there, nobody had even asked of them not to talk of buying them. I bought my books happily and went home to enjoy. Indeed God knows our desires and is always thinking good towards us. I have no reason to be worried or afraid with God. Thank you for that lovely prayer, Chinaecherem. May God grant you super success academically in Jesus' name. Praise God! You are blessed, Judith! Absolutely interesting! didn't want to stop reading, ma. I thank the Lord for u, ur stories are inspirational the Lord is using u to encourage people like me. I love the way God used you to bring help into that poor woman's life. Glory to Jesus. God is a perfect father in that before we desire or speak of our desires he has has already done them. And one thing that is sure is that he supplies all our needs, not some of them but all the needs that we have. HE is all knowing, he records both the activities of heaven as well as the earth. so as such he knows our needs and desires and also plans to supply us those desires at the pointed time. There's a saying that goes thus "Gods time is the best". Although it's really hard but I try to hold on to those words when I'm in need of something and it isn't forthcoming, I just know the Lord has bigger and better plans. He is the all knowing God, he knows our heart desires and brings them to fulfilment one way or the other,all we have to do is to hold him on his because there's nothing to hard too hard for him. He is the all sufficient God . What an inspiring piece! There's nothing as fulfilling as doing something for people who can never pay you back, besides we shouldn't always be nice when we know we would gain from it. And for the part of God answering our prayers, I so believe in his answers that I no longer push for things alot. I just pray to him and then trust in his answers besides that's what my name means. 'KOSISOCHUKWU' (how it pleases God). God is all knowing. He knows better than we do. He understands our needs more than we do. So, sometimes he keeps quiet to our pleadings because He has seen we don't need it/them. He is our true Father. You just hit the point, Aunty! One of the beautiful thing I so much cherish about our heavenly Father is that he knows it all.Even our innermost desire and aspirations. And he will eventually grant those desires in due time. God definitely records our heart desires and wishes just when you least expect it would come as a shocker and fulfilled just because he has not granted it to us now does not mean h e forgot about that which you requested, he is waiting for the perfect time because God time is the best. It's really wonderful and reassuring knowing God loves us and answers all our prayers at his desired time,he knows what's best and when best to provide our heart desires. Our prayers never goes unheard by God, though sometimes we may feel like it does. The thing is that God hears these prayers and looks into our lives. He checks the ones that would be beneficiary for us at that point in time. He eventually aanswers us at the appointed time ans then we can see how much He cares. This piece reminds me of this song GOD WILL TAKE CARE OF ME THROUGH OUT THE DAY AND NIGHT.....most times when we feel God isn't there for us like how many times have I called God? Is he still there? Does he still answer prayers? I believe that all these questions have been answered even before we thought of them. God's eternal love upon us is strong and no matter how wrong our ways are his still there to help us and care for us. Well, I have never been in a situation where i want something that badly, but I hope on God that when such time comes, He will make the best to come out of it. AMEN. If you ain't got Christ..... Forget it! This post reminds me of a certain period i was also in dire need of an 'essential', almost when i thought it wasn't going to come, HE surprised me! I can testify that God really records our desires and helps us to see that they come to past. There have been many things that I consider little or unimportant to ask God but when I do, I'm amazed and surprised that they have been answered. 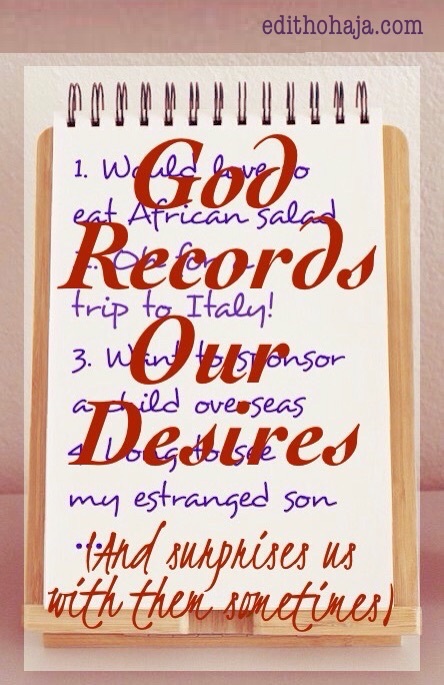 Indeed, God records our desires. He takes note of every single desire in our hearts and grants them (if according to his will). The way he answers sometimes can be very surprising. We could ask for little, but then he gives us much more than that. Thanks for sharing your experiences, I enjoyed it. He is a great God, when i needed him most, he showed me that he is with me, when all hope was lost, he showered me with his love. Who is that to be compared with him? NONE. I believe in his time. He has enough packages for us all. God is everywhere, he understands his creatures, be it in merriment or in time of trouble, and he also knows the appropriate time to grant us our hearts' desires. I cant think of anyone who pulls pleasant surprises like God😊. We ask that God grants all our desires and wishes and sometimes he gives them to us even when we have forgotten we made such wishes. God does wonderful things we don't expect and surprises us with so much blessings .